Signing up for an Intervale Food Hub subscription used to involve scrolling through a list and choosing a pickup site. Then, each week, customers traveled to their chosen location and grabbed a basket of groceries aggregated by the IFH from area farmers and food producers. Now, the process of acquiring that food has gotten simpler: Burlington residents can have the goods delivered to their doorsteps. How much does it cost to have a selection of fresh veggies, local beans, chicken, bread and cheese show up weekly? Nada. "[Not having reliable] transportation can be a food-access barrier," said IFH marketing and outreach coordinator Kendall Frost. She pointed out that the food "packages," which begin at $25 per week, can be purchased with an EBT card. "It was really important to us not to charge people for the delivery service." The IFH tested home drop-offs in the New North End throughout the spring and summer. In November, when winter share season begins, delivery will be available citywide, with the goal of expanding farther. Each of three neighborhoods — South End, New North End and Old North End/Central — has been assigned a one-day, three-hour block for deliveries. "We have to grow incrementally, but we're excited about coming straight to people's doors," Frost said. 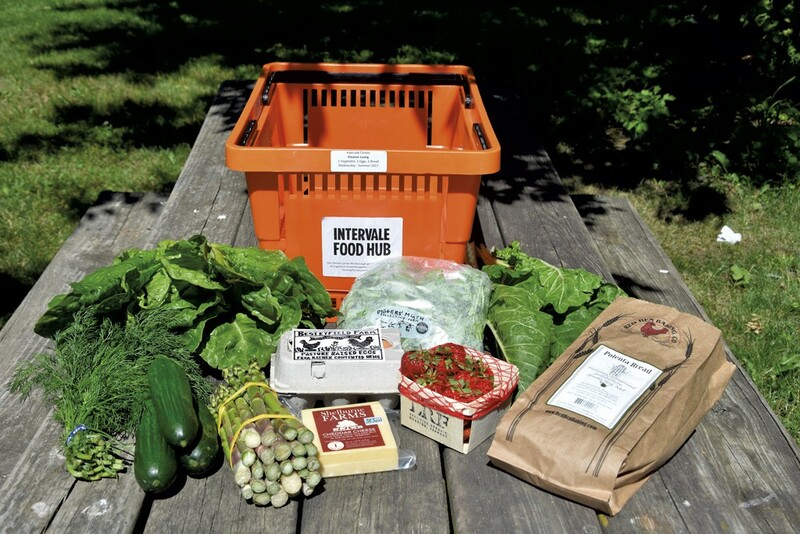 This season, the IFH's farm share has about 350 subscribers. With delivery on the table, Frost said, staff expect the number to grow. "Giving people that option is going to make a huge difference," she said. And that will give a boost to local ag, Frost suggested, describing IFH's subscription-purchasing model as a boon to farms. "We can work with farmers to provide really consistent orders throughout the year," she said. "Customers know exactly where the food comes from and what practices were used to grow it, and, because we do marketing and distribution, it's really convenient for the farmers, as well." The original print version of this article was headlined "Door-to-More"
In this episode, Bryan waxes poetic on vinyl records, delivers an exciting update in Burlington's budding grocery war and highlights a few bright spots in a week filled with bleak news.